Allendale, NJ (October 3, 2013) - Leica Camera announces a series of new, easy-to-use accessories to enhance the Leica user’s photographic experience. 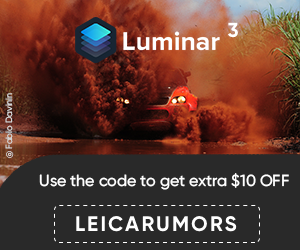 The new products include a new Leica carbon tripod that embodies the highest quality materials and design, and therefore guarantees years of reliable service along with two easy-to-use Leica 24 and 38 ball heads with numerous additional features. The new Leica carbon tripod is an ideal complement to the two ball heads. It is lightweight at only 2.64 pounds and compact, making it perfect for travel. In addition to its exceptional stability, it can be collapsed to such a small size— the mounted ball head actually disappears inside the collapsed tripod—that it fits in any travel camera bag. An outdoor carrying case made of Cordura with a strap and shoulder pad is available as an optional accessory. Both new ball heads are ideal for use with all Leica cameras, from Compacts to X- and M-System products. They guarantee that the camera is held securely and steadily in all photographic situations and are particularly useful when frequently changing the camera position and shooting from several different angles. These new products are further complemented by a set of three quick-change plates which make it possible to switch between several cameras in rapid succession without any need to exchange the plate. 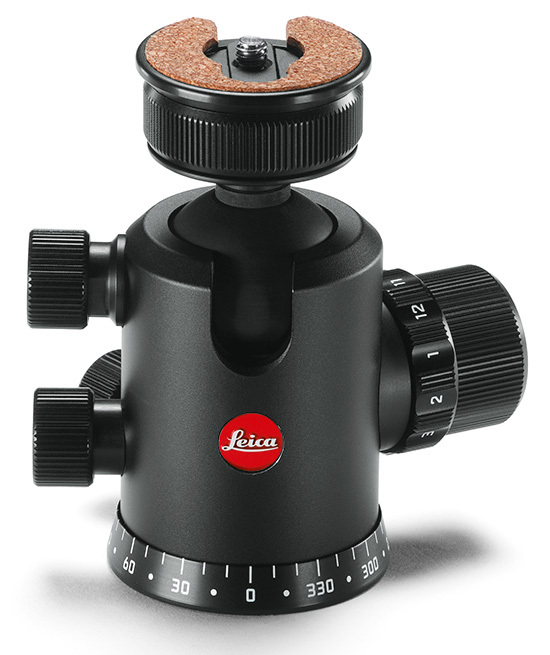 The Leica 24 and 38 ball heads are distinguished by their compact form, premium engineering and ease of use. Both versions are designed and constructed to enable photographers to bring the camera into the desired shooting position and perform fine adjustments with minimal effort. Despite its impressively light weight of 4.8 ounces the 24 mm ball head offers such enormous locking power and stability that it can securely hold a camera system with a light lens, such as the Leica M, and reliably enables images from various camera positions. The same applies to the 38 mm ball head, which also features a range of additional functions, including a tilt button. When the tilt function is activated, the ball is locked for motion only in the vertical plane and is prevented from moving in any other plane. The 360° panorama function (15° STOP button) allows the capture of multiple precisely aligned landscape, architecture and object shots from different positions that can be merged in post-processing to create impressive panoramic images. This function is aided by a selectable click-detent option that locks the rotation of the ball in 15° steps. The click informs the user each time the ball head has been rotated by a further 15°. These accessories will be available from November 2013 from Leica dealers.